New mobs hostile to ensure the battles in Minecraft. 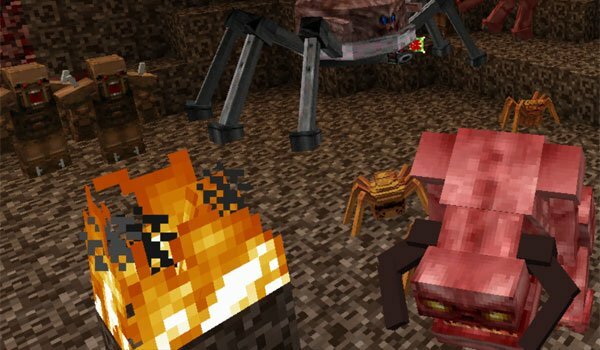 Lycanite’s Mobs 1.7.2 and 1.7.10 is a mod that is responsible for adding new creatures to the game. These appear in specific biomes and so far all of these mobs are hostile, but according to the mod author in the future will be added other beings, including some which will be domesticated. These enemies are based on mythological creatures and other games like Doom, Castlevania, Monster Hunter, Hexen and Oddworld among others. Nowadays is in the Nether wher you will find more of these new beings, where you can come acroos upt to 7 new creatures. But not all of them since the rest appear in various normal biomes. How to install Lycanite’s Mobs Mod for Minecraft 1.7.2 and 1.7.10?